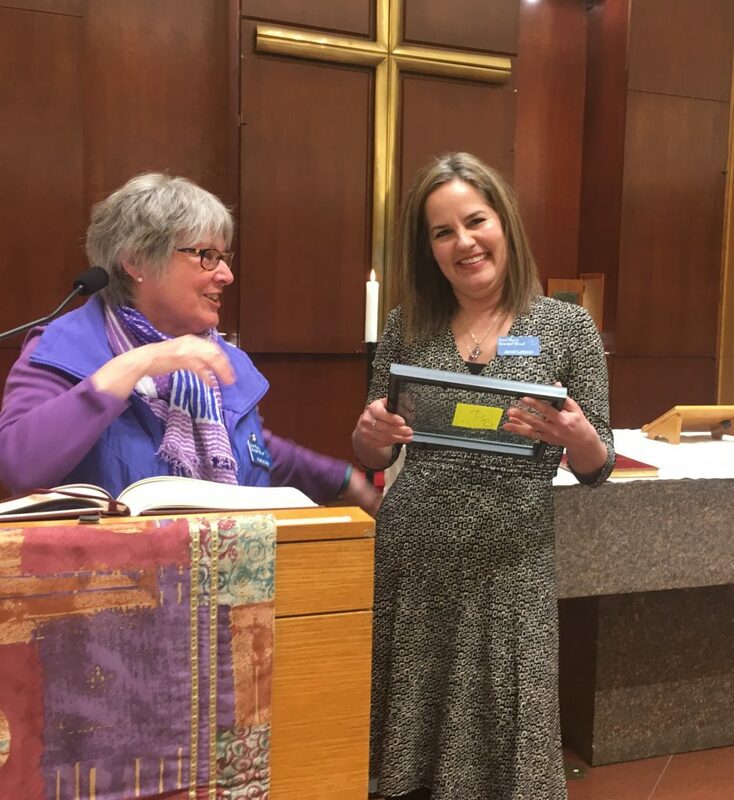 Janet Lebson was commissioned by the Rev. 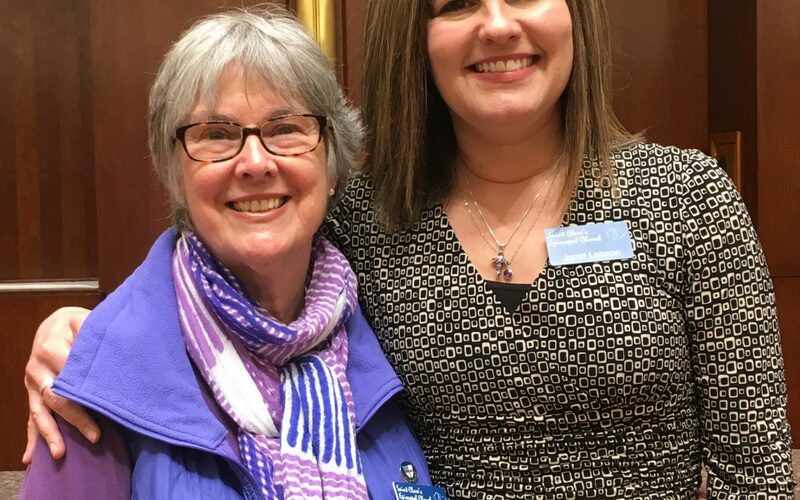 Susan Bock as Saint Clare’s new co-chair for the Back Door Food Pantry on Mar 31, 2019. Janet is taking over from Kathy Daly, who passed on a ceremonial “post it note” with the code for the back door. 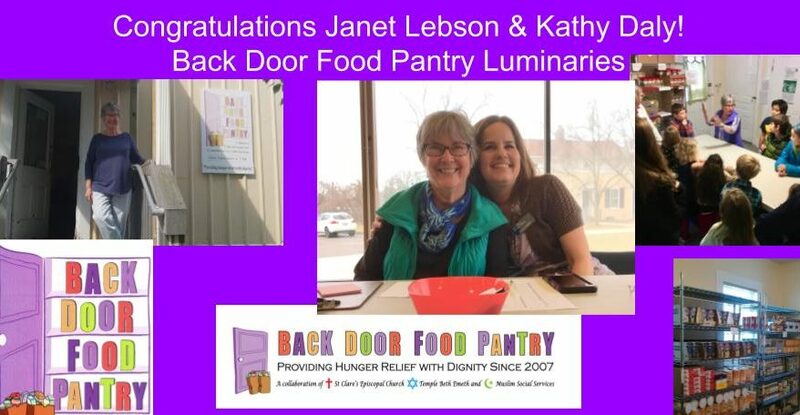 Kathy is now the Food Pantry’s new Special Projects Coordinator for long range visioning and planning. 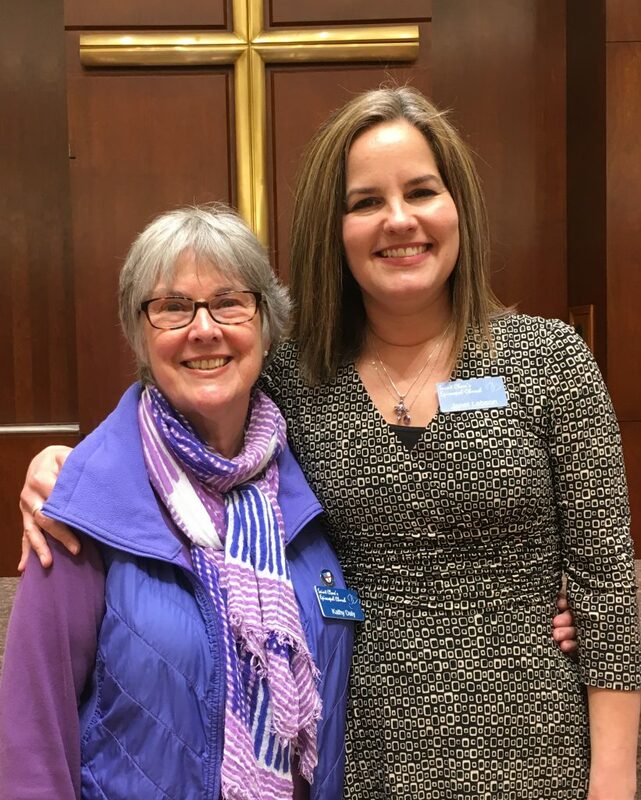 We recognized Kathy Daly for her eight years of dutiful service as co-chair. Fellow and former co-chairs and volunteers were in attendance from Temple Beth Emeth and the community. The Cross and Star of David standing side by side on Packard Road symbolize Genesis of Ann Arbor, the joint corporation created by St. Clare’s and Temple Beth Emeth, a Reform Jewish congregation. Open every Thursday from 4-7pm, our food pantry serves close to 1,000 people every month. Our pantry is the only one of its kind, and doesn't require any documentation from its patrons.